When a new presentation is created in Microsoft PowerPoint 2013, PowerPoint provides the default numbering for it. 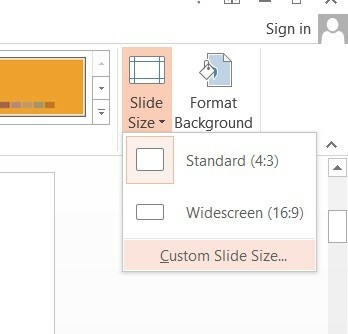 Sometimes, it may be necessary to modify the default slide numbering in PowerPoint 2013. This blog post will explain how to do it. 1. Launch Microsoft PowerPoint and then navigate to the Design Tab in the Ribbon. 2. In the Customize group, select custom slide size from Slide Size DropDownList. 3. 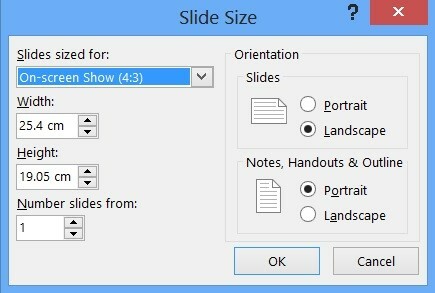 In the Slide Size Dialog, Use the Number Slides from to select the desired number to start the numbering of your slide.